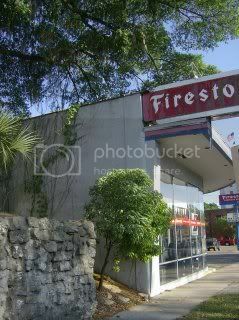 Recently I've become somewhat disillusioned with much of the fantasy that's currently on offer: the amount of bubblegum/popcorn fantasy novels seems almost suffocating at times. I felt the urge to read something different, a more innovative novel with a more stylish prose than many fantasy authors display these days. China Miéville was a name that I was familiar with and was a long-standing fixture on my must-read-before-I-die list. Given that Miéville once dismissed Tolkien as the "wen on the arse of fantasy literature", I thought that perhaps his own novels might give me the innovation and sophisticated prose I was craving. The Scar gave me that...and much more besides. As you would expect - given his dislike of the fantasy inspired by Tolkien's legacy - Miéville's world (named Bas-Lag) bears very little resemblance (if any at all) to Middle Earth and the countless other clones. In a genre bloated by fantasies set in bland, pseudo-medieval worlds, Miéville has deliberately created something markedly different: an industrial world populated by many different races (cactus people, anyone?) where magic and science exist independently. It's an impressively big world with an intriguing history, which Miéville skilfully reveals without the need for large info dumps. The city of New Crobuzon (the focus for Miéville's first novel, Perdido Street Station) doesn't actually appear in The Scar however; instead the story takes place mostly at sea, on board the pirate city of Armada. Armada is probably one of the most innovative cities in genre literature: a huge, sprawling 1000-year-old pirate city created from hundreds of boats, all lashed together and pulled across the oceans by tug boats. The huge variety of ships that make up Armada lends the city a diverse cityscape, mirrored by the inhabitants who are drawn from a number of different races. The districts are all governed by different rulers, and the fact that they are not always willing to co-operate creates a tangible political undercurrent. Miéville also throws in some other exotic locations, with the island of the mosquito men being particularly memorable. Yet if Miéville's world is impressive, his characterisation is even more so. From the chief protagonist Bellis Coldwine to the indomitable Uther Doul, Miéville's characters are deep and extremely well realised. Coldwine is far from your usual protagonist; at first she appears aloof and possessing of a brooding cynicism. Yet when she's captured by pirates, taken to Armada and forced into a new life, she also becomes fragile and vulnerable, struggling with the situation she finds herself in. As the story unfolds it's surprisingly easy to feel sympathy for her cause as she battles with her alienation. Tanner Sack, another prominent character, acts almost as a foil for Bellis; like her, he finds himself captured by pirates and taken to Armada, but for him the consequences are totally different. A prisoner, he suddenly finds himself a free man, as all the 'pressganged' (as the pirates' victims are known) are given a chance to join Armada as free citizens and subjects, rather than slaves. There's a nice irony in that Bellis goes from free citizen to (in her own mind) virtual prisoner, while Sack goes from prisoner to free citizen. Their individual journeys later become entwined, and it's fascinating to see Sack struggling with his conflicting loyalties. Miéville fortunately took time to ensure that the secondary characters are just as interesting as the protagonists, and subsequently we have an enthralling cast. Uther Doul is both mysterious and enigmatic, and his 'probable sword' is quite possibly the coolest weapon ever to appear in a fantasy book. The Brucolac - the vampiric leader of the Dry Fall district - and his relationship with Doul and the other leaders adds some spice, while the so-called 'Lovers' (who have a fetish for slicing each other with matching wounds in orgies of passion) are another fine example of Miéville's imagination. The novel's plot actually makes use of a significant fantasy trope - the quest. Yet Miéville never criticised the genre's tropes, just the way they are used. In The Scar he manages to take a familiar concept and use it in a completely different way, to impressive effect. The plot is fairly straightforward, yet still contains one or two surprises. It generally moves at a good pace, though there are odd moments where it seems to lull. There's plenty of thematic depth though, and subsequently the novel can be read on two different levels. You can read it simply at face value - the story of a prisoner who wants to escape her exotic prison - or you can dig deeper into the political undercurrent, which adds a whole new aspect to the story. Miéville's writing is sublime; he has a real knack for writing baroque prose with poetical flourishes. I often found myself reading certain sentences three or four times just to fully appreciate the writing. His prose is highly evocative at times and possess a real visual quality. There are a couple of pretty epic sequences that - when I was reading them - I could clearly see in my mind as if I was watching them happen. Miéville is easily one of the best writers working in the genre today (not to mention one of the most humble). The Scar is one of those rare books that makes you ponder on the state of the genre, and causes you to wonder why more authors don't push the boundaries of fantasy. Beautifully written and populated with some wonderful characters, The Scar is a real tour-de-force that demonstrates the potential of the fantasy genre. Admittedly it won't appeal to everyone, but if you find yourself tired of bland fantasies and craving a more literary, innovative novel then look no further. I loved this novel; it's something that's bound to improve on re-reading, too, due to the complexity. For me I'm not only impressed by the prose and imagination, but it's a very strong political novel (Trotskyist views) without at all being political - having people taking out of their normal context and into a truly equal society - especially poignant when the remade are freed. "Miéville's writing is sublime; he has a real knack for writing baroque prose with poetical flourishes." I agree wholeheartedly on this...but otherwise, Miéville was more miss than a hit for me (I read PSS -- it's actually the third, not the first book -- and I was rather disappointed). With exception from his lush prose and sometimes extravagant world-building (cactus-people seem rather dross to me, but some ideas like Ambassadorship to Hell and The Weaver were really sublime; they don't kick in well into the novel though) I thought his charaters and the story itself (still talking about PSS; I might give The Scar a try, based on your review :)) subpar and boring, alas. 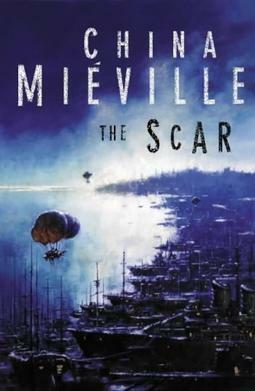 Mark: I completely agree, Miéville manages to explore some strong political themes without it becoming overbearing. And yeah, I forgot to mention the Re-made and the significance of their freedom. Awesome stuff. Thrinidir: Perdido Street Station is definitely the first; Iron Council is the third. Well...like I said, Miéville isn't to everyone's tastes which is fair enough. At least you've bothered to read his work. I just wish more people would! Try The Scar if you get a chance, you might be pleasantly surprised. See, and I thought Perdido Street Station was one of the best-crafted books I've read in the last ten years, mostly on the strength of his characters.